We have been studying the 50 United States this year. This week we are focusing on California, specifically the Bay Area. The reason for this is quite exciting - we are leaving soon on a trip to San Francisco! Our read-alouds this week have all focused on preparing for the trip. We are HUGE Virginia Lee Burton fans. 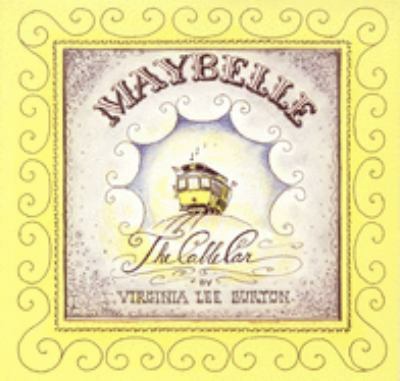 I had to order Maybelle The Cable Car for our library. We've loved her other books (last year we rowed Katy and The Big Snow and adored that story), and this one is no exception. I can't wait to actually ride the cable cars with my children to have this book come alive! Journey Around San Francisco from A to Z was loaned to me by a dear homeschooling friend. She also advised me to have my children send themselves postcards during the trip - what a great way to journal their adventure! This book is so much more than a simple ABC book. There is so much rich history packed into each page. 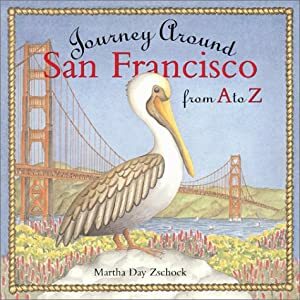 Marth Zschock has used alliteration to make each page come alive - "Fog float in frequently" and "Isolated Alcatraz imprisoned infamous inmates" are among my favorites! 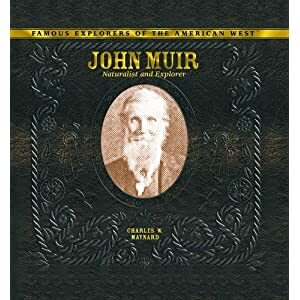 We will be spending a day in Muir Woods, and I didn't know much about the naturalist, John Muir (this article is wonderful for learning more about him! ), who was the founder of our National Parks System. Thanks to a very knowledgeable librarian, I came home with two books that were packed with information. Part of the Famous Explorers of the Americas series, this book was perfect for my six and ten year old. It is a concise biography of John Muir, with actual pictures of him and pictures of his journal entries. We learned so much! We even spent the afternoon outside today in one of our favorite spots to be naturalists just like John Muir! 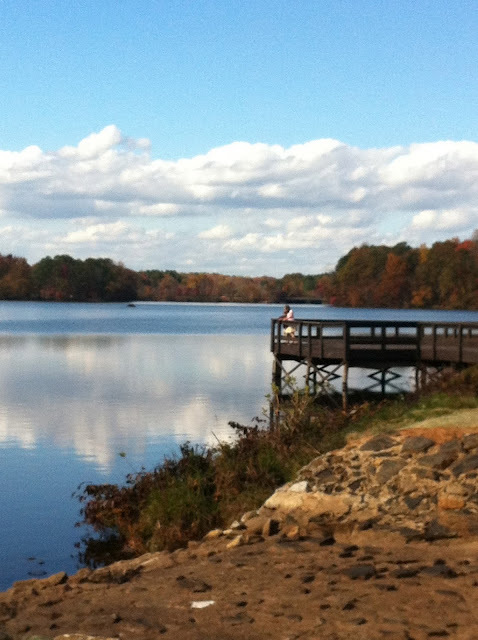 How beautiful are the fall days here in Georgia? I see two budding naturalists on the dock! Finally, our librarian gave us a picture book, Squirrel and John Muir, which is a fictionalized account of what might have happened between John Muir and Floyd Hutchings when they met in Yosemite in 1868. Hutchings is the man who opened the first hotel in the Yosemite Valley. "Squirrel" is Floyd's six year old daughter. The story is a touching account of Muir's influence on her - and shows us how Muir really changed the way all Americans view our natural resources. We've also gotten read some basic books about California and the Golden Gate Bridge as well. I think we're well prepared - but nothing will compare to seeing it in person! We love taking exciting field trips (see our Niagara Falls and Erie Canal book list), and I can't wait for this one! What are you reading aloud this week? Happily Linking With Amy at Hope is The Word for Read Aloud Thursday.